Punjabis in interwar Britain, who had migrated for economic opportunity but had been politicized during successive upheavals at home, admired Ghadar’s radical solidarities with nationalist and anticolonial movements. This article focuses on peripatetic Punjabi radicals, often working as pedlars and sailors, to enhance the current understanding of the vibrant relationship between the Ghadar Party and Punjabis in Britain. This article contextualizes Udham Singh’s martyrdom by examining the uses to which his name and image were put in radical publications. Furthermore, the Indian Workers’ Association, formed in the midst of the Second World War, was integral to articulating a Ghadarite anticolonialism in Britain, which was animated by the trial and memorialization of Udham Singh. Thus, this article argues that labor migration and the global transmission of Ghadar Party publications was integral to the Ghadar movement’s influence on the struggle against imperialism in Britain in the 1930s and 1940s. Disturbances: Indian Workers Association: 'inflammatory' tone of Azad Hind (Quit India), a bi-lingual monthly in Punjabi and Urdu.1945-1951. HO 45/25460. Criminal: Singh, Udham Convicted at Central Criminal Court (CCC) on 5 June 1940 for murder and sentenced to death. HO 144/21445. Lascar Deserters. Aliens Registration Office. 1931-1938. MEPO 2/5064. Murder of Sir Michael Francis O'Dwyer by Udham Singh at Caxton Hall, Westminster, on 13 March, 1940. MEPO 3/1743. Grant of passport facilities to Indians of limited means to come to UK as peddlers etc. 12 Nov 1929-16 Oct 1939. IOR/L/PJ/7/1007, file 719. The Ghadr Party in USA and Canada. 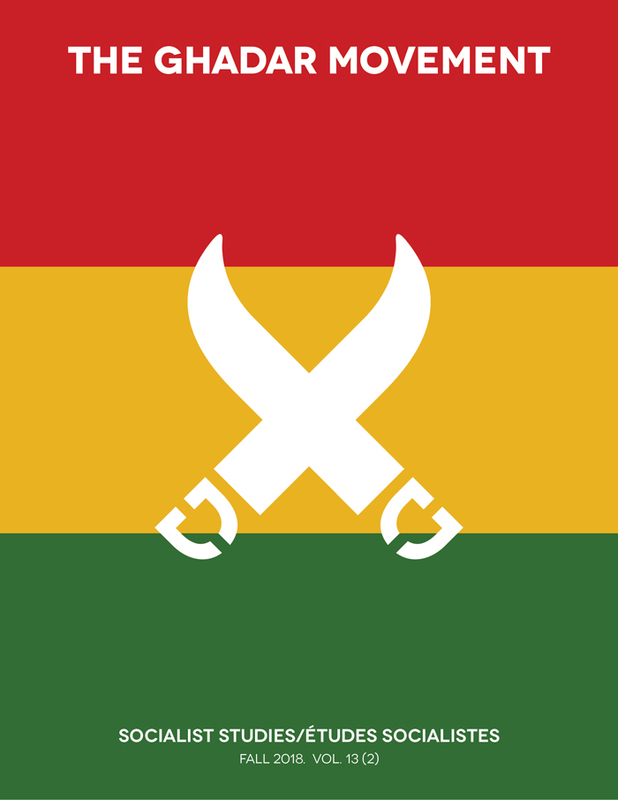 Jan 1936-Jun 1944. IOR/L/PJ/12/284, file 1392/25. IPI reports on Indians in North and South America: the Ghadr Party. Apr 1934-Nov 1939. IOR/L/PJ/12/285, file 1392(A)/25. IPI reports on Indians in North and South America: the Ghadr Party. Feb 1940-Nov 1948. IOR/L/PJ/12/286, file 1392(A)/25. Activities of Gurmukh Singh and Rattan Singh alias Isher Singh, Ghadr Party. Jan 1935-Jan 1940. IOR/L/PJ/12/288, file 1392(c)/25. Indian Workers' Union or Association: reports on members and activities. Jan 1942-Jul 1947. IOR/L/PJ/12/645. IPI notes on Indian organisations in UK. Apr 1942-Jun 1946. IOR/L/PJ/12/646, file 720/42. Reports, summaries and translations of Hindustan Ghadr; Ghadr Party activities in USA. Oct 1934-Dec 1937. IOR/L/PJ/12/757, file 995/24. Reports, summaries and translations of Hindustan Ghadr; Ghadr Party activities in USA. Nov 1937-Dec 1944. IOR/L/PJ/12/758. Ghadr Party Activities. 27 March 1931-28 Aug 1934. IOR/L/PS/12/1588 Coll 3/35. The Ghadr Directory, containing the names of persons who have taken part in the Ghadr movement in America, Europe, Africa and Afghanistan as well as India. (New Delhi: Intelligence Bureau, 1934). V/27/262/6. IOR. Singh, Rattan. “A Brief History of the Hindustan Gadar Party,” BANC MSS 2002/78, Box 13. Fenech, Louis E. 2002. “Contested Nationalisms; Negotiated Terrains: The Way Sikhs Remember Udham Singh ‘Shahid’ (1899-1940).” Modern Asian Studies. 36 (4): 827-870. DOI 10.1017/S0026749x02004031. Fox, Richard G. 1985. Lions of the Punjab: culture in the making. Berkeley: University of California Press. Hiro, Dilip. 1973. Black British, White British. New York: Monthly Review Press. Josh, Sohan Singh. 1977. Hindustan Gadar Party: a short history. New Delhi: People's Publishing House. Juergensmeyer, Mark. 1977. “The Ghadar syndrome: nationalism in an immigrant community.” Punjab Journal of Politics. 1 (1): 1-22. Mukherjee, Mridula. 2004. Peasants in India's Non-violent Revolution: Practice and Theory. New Delhi: SAGE. Puri, Harish K. 1983. Ghadar movement: ideology, organisation & strategy. Amritsar: Guru Nanak Dev University Press. Ramnath, Maia. 2011. Haj to Utopia: How the Ghadar Movement Charted Global Radicalism and Attempted to Overthrow the British Empire. Berkeley: University of California Press. Raza, Ali. 2013. “Separating the Wheat from the Chaff: Meerut and the Creation of ‘Official’ Communism in India.” Comparative Studies of South Asia, Africa and the Middle East. 33 (3): 316-330. DOI 10.1215/1089201x2378112. Singh, Navtej. 2007. “Reinterpreting Shaheed Udham Singh.” Economic and Political Weekly. 42 (48): 21-23. Sivanandan. A. 1981. “From Resistance to rebellion: Asian and Afro-Caribbean struggles in Britain.” Race & Class 23 (2-3): 111-152. DOI 10.1177/030639688102300202. Stadtler, Florian. 2012. “‘For every O’Dwyer...there is a Shaheed Udham Singh’: The Caxton Hall Assassination of Michael O’Dwyer.” In South Asian Resistances in Britain, 1858-1947, edited by Rehana Ahmed and Sumita Mukherjee, 19-32. New York: Continuum. Sweet, Matthew. 2005. Shepperton Babylon: the lost worlds of British cinema. London: Faber and Faber. Tatla, Darshan Singh. 1999. The Sikh Diaspora: The Search for Statehood. Seattle: University of Washington Press. Upadhyay, Nishant, ed. 2014. Special Issue: Sikh Formations: Religion, Culture, Theory 10 (1).